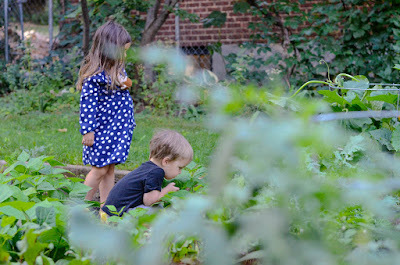 husband and harmony: Our Green Green Garden. 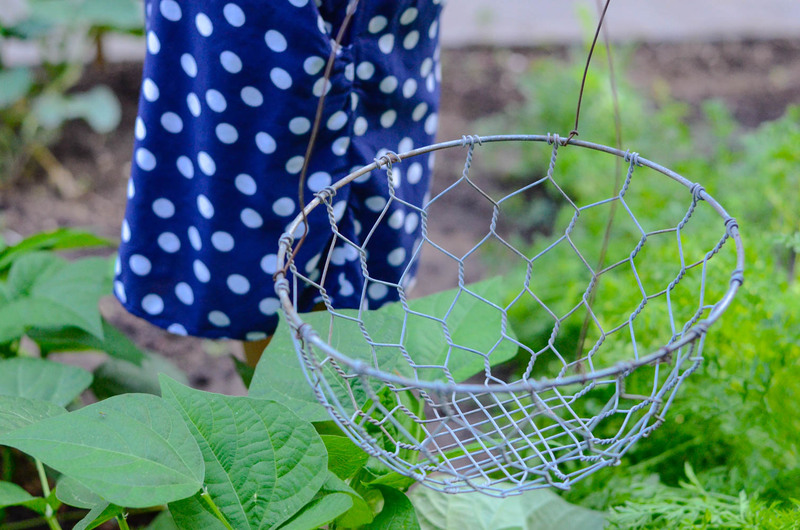 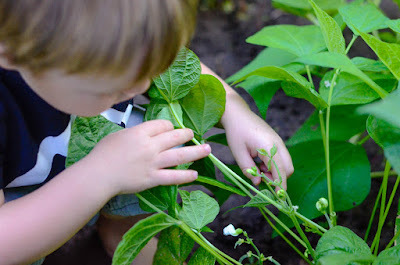 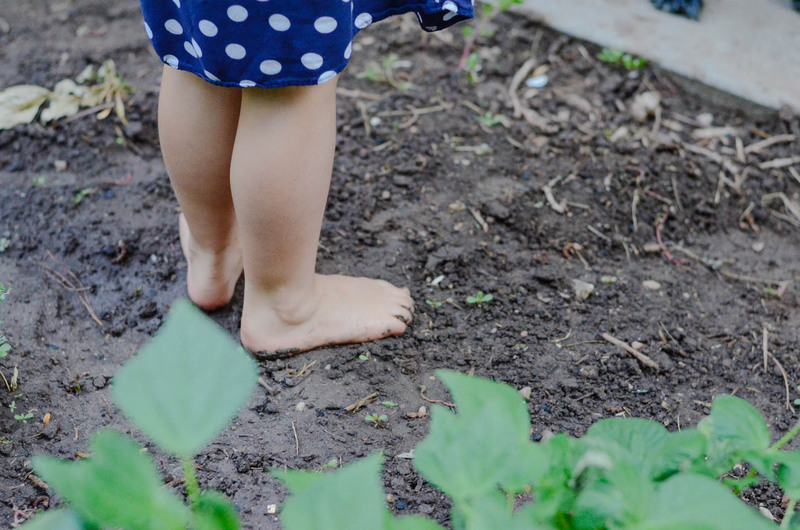 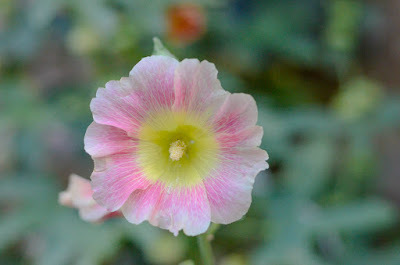 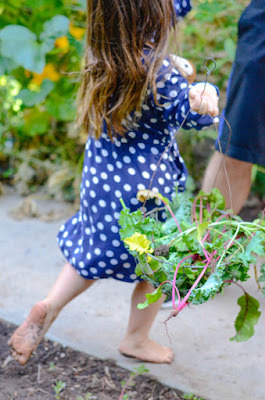 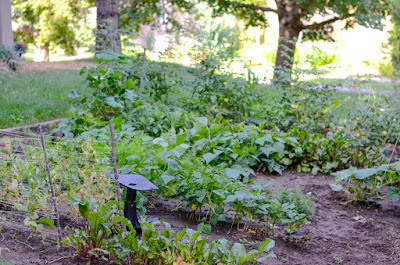 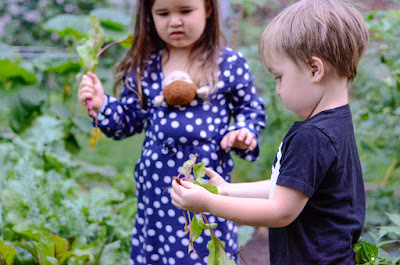 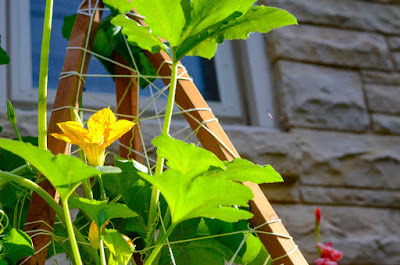 Most mornings, the kids and I will go out and check out what we need to pick in the garden. 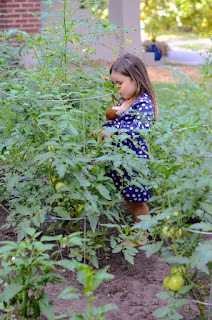 Aiko LOVES tomatoes and usually eats most of them before we can really harvest them. 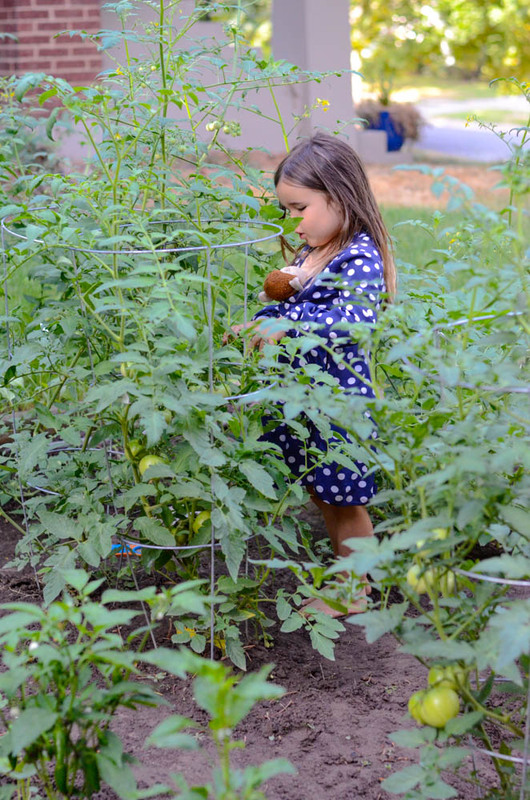 She especially loves the orange cherry tomatoes. 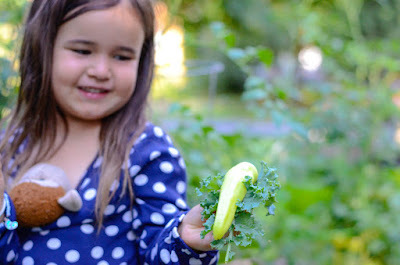 Orion likes to pick but not eat them. We have some voluntary mini pumpkins that grew this year. It's a crazy bush now and has so many tiny pumpkins. 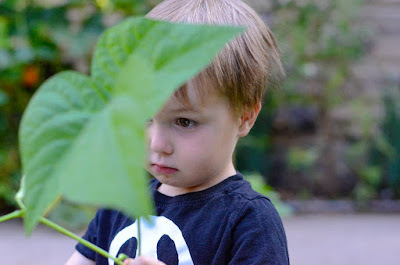 The husband hates this plant too, especially now that I've covered put the sidewalk and made the vines into a canopy. 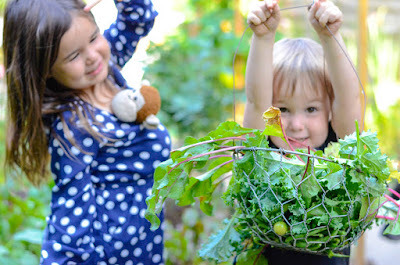 These guys have crazy imaginations. 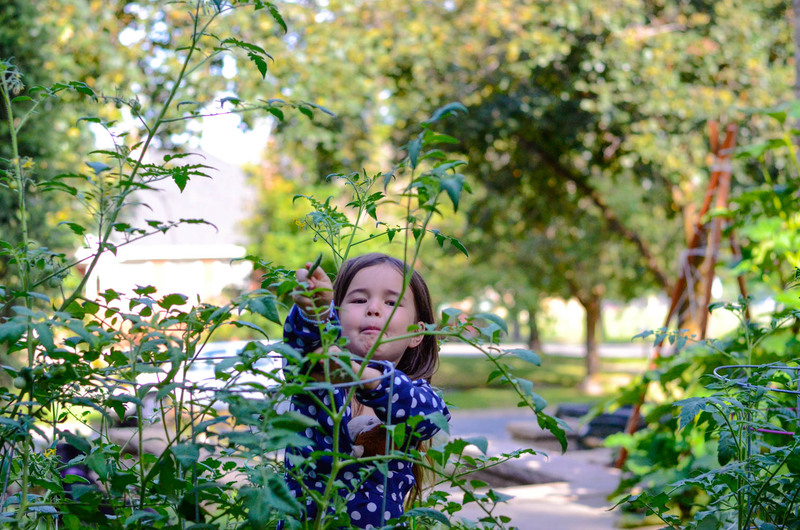 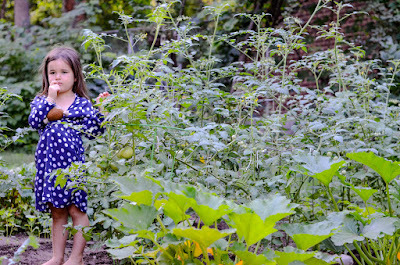 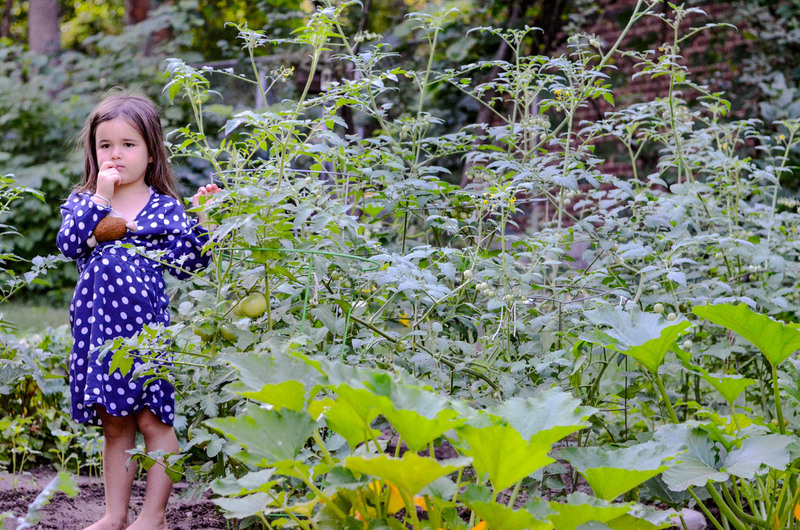 They love to play hide and seek in the tomato plants or play wizards and wands with beans. 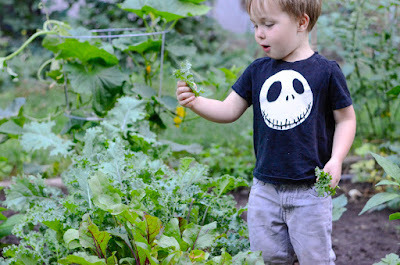 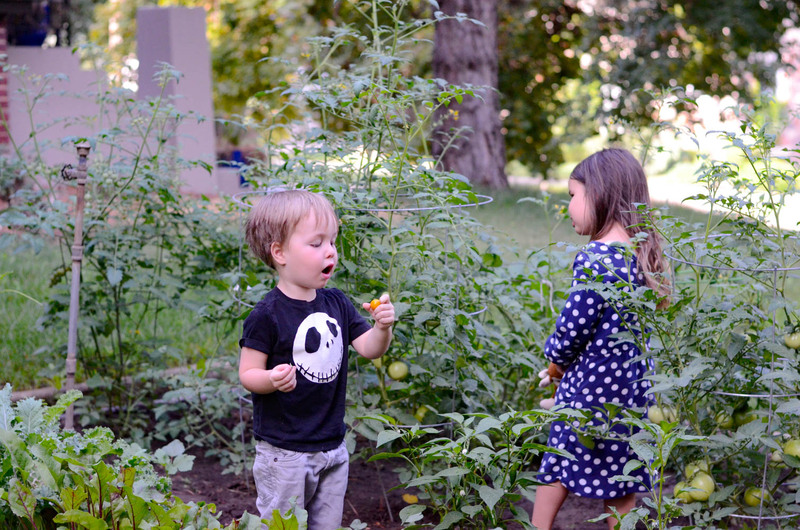 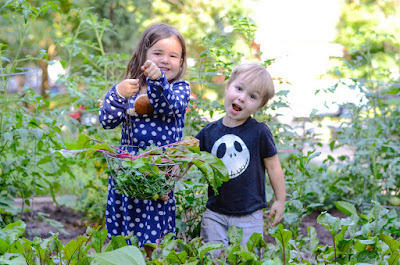 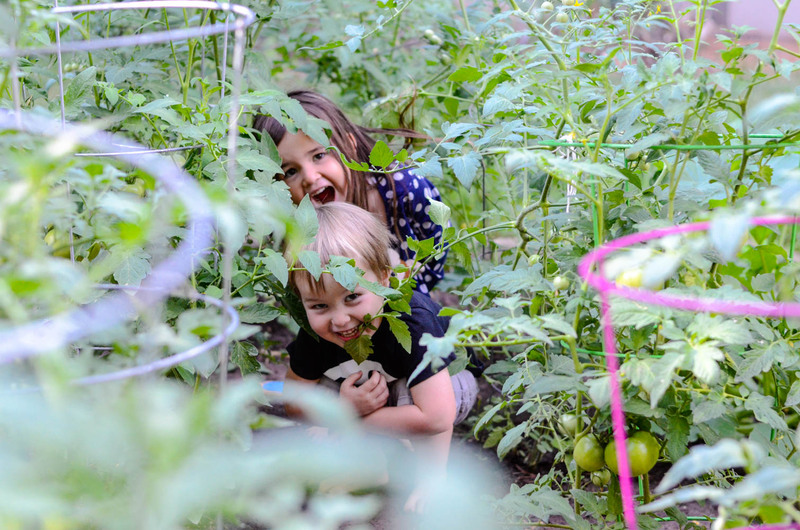 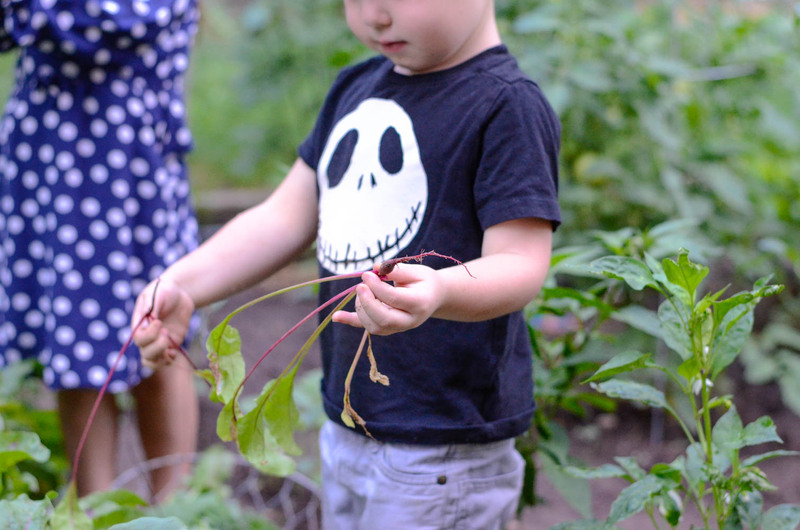 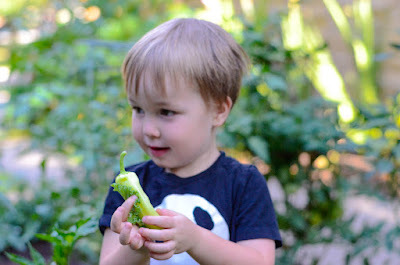 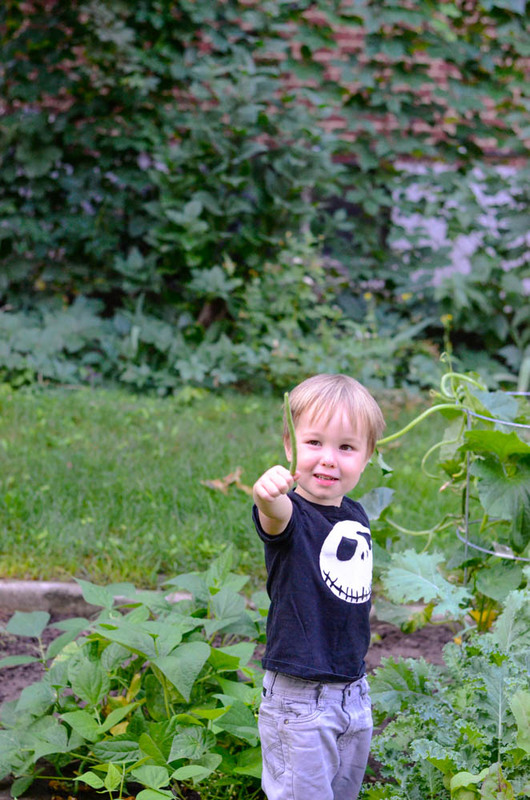 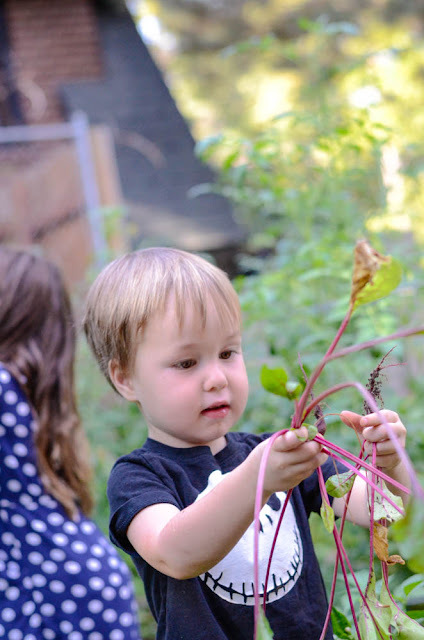 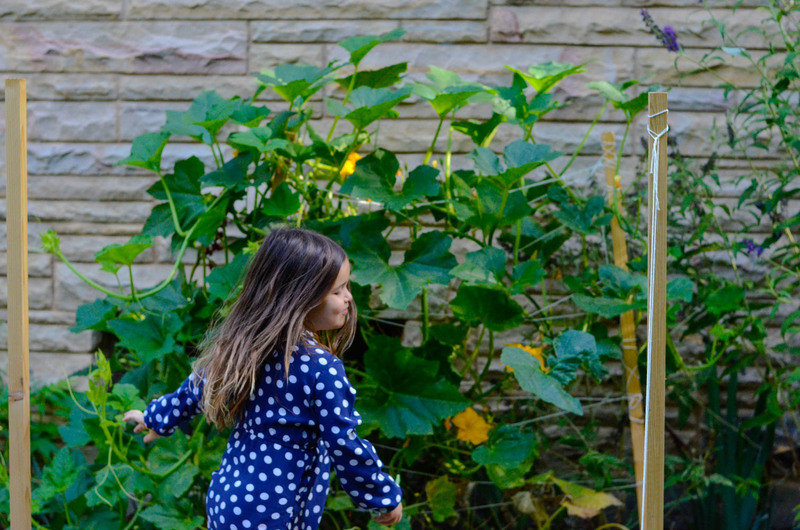 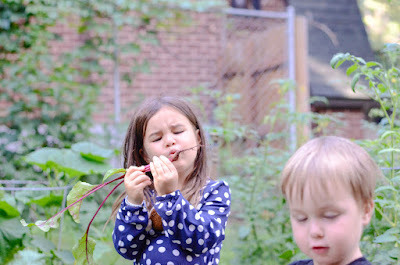 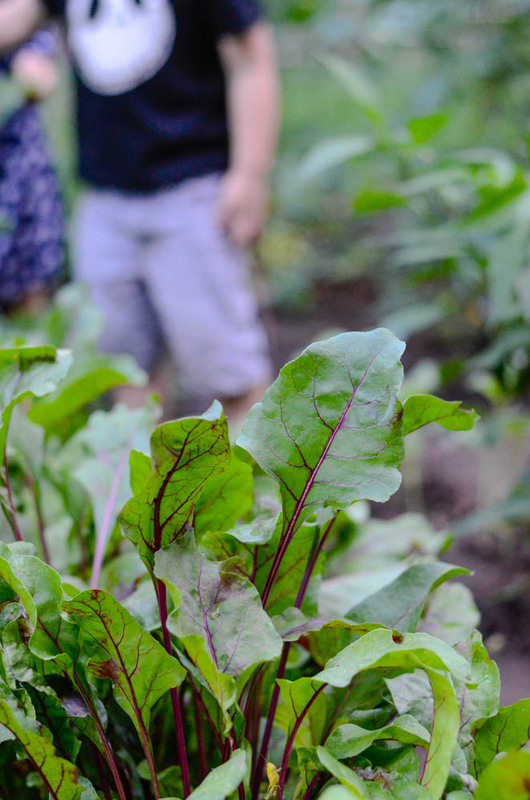 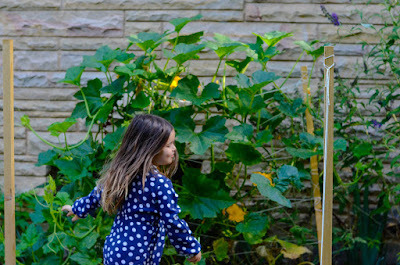 The kids love to pick all the veggies. 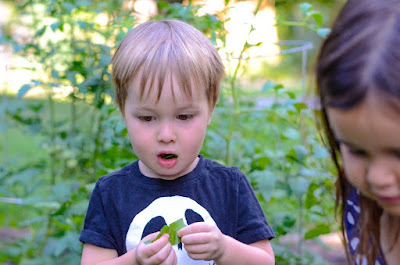 I'm always surprised when they actually will eat the veggies raw. We tried some kale and beet leaves. They liked the kale but not the beets. Again, playing some kind of pretend with the kale and peppers. 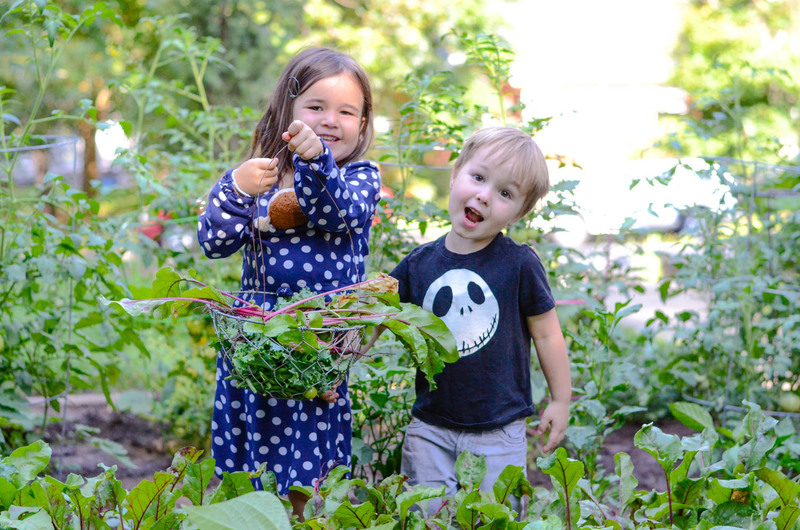 They really love picking the beets and carrots. Most of my carrots have been dug up already because they just can't stand not picking them. 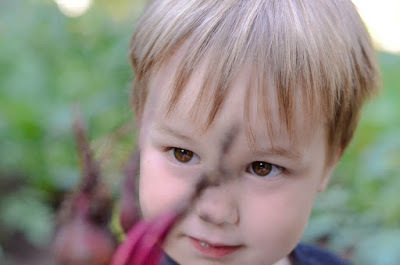 Luckily, I planted a whole bunch of beets this year. 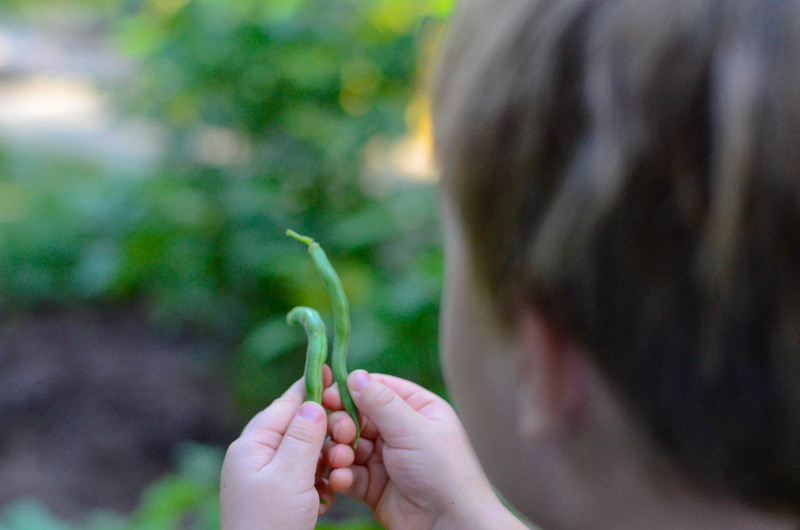 But they don't care to pick them as much since they are still pretty small. 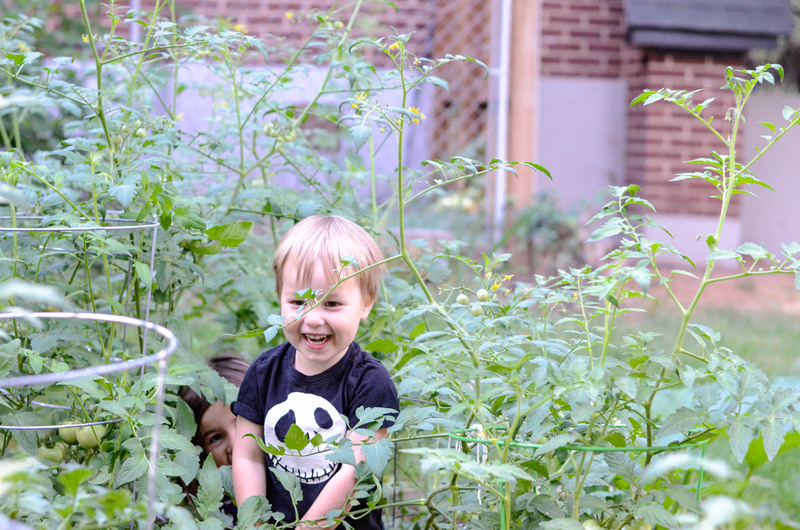 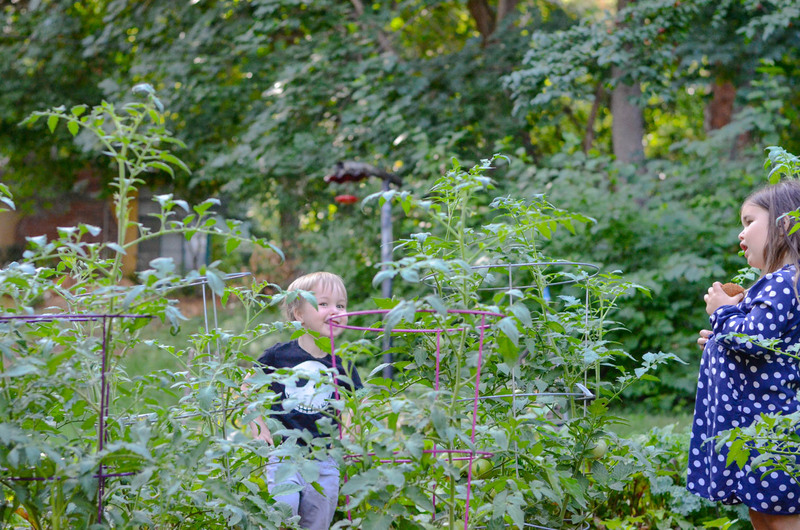 Playing "Monsters" in the tomatoes. 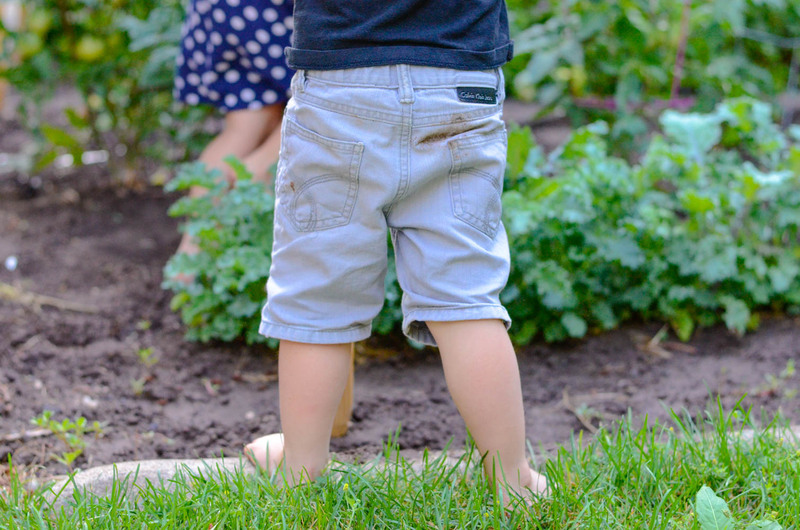 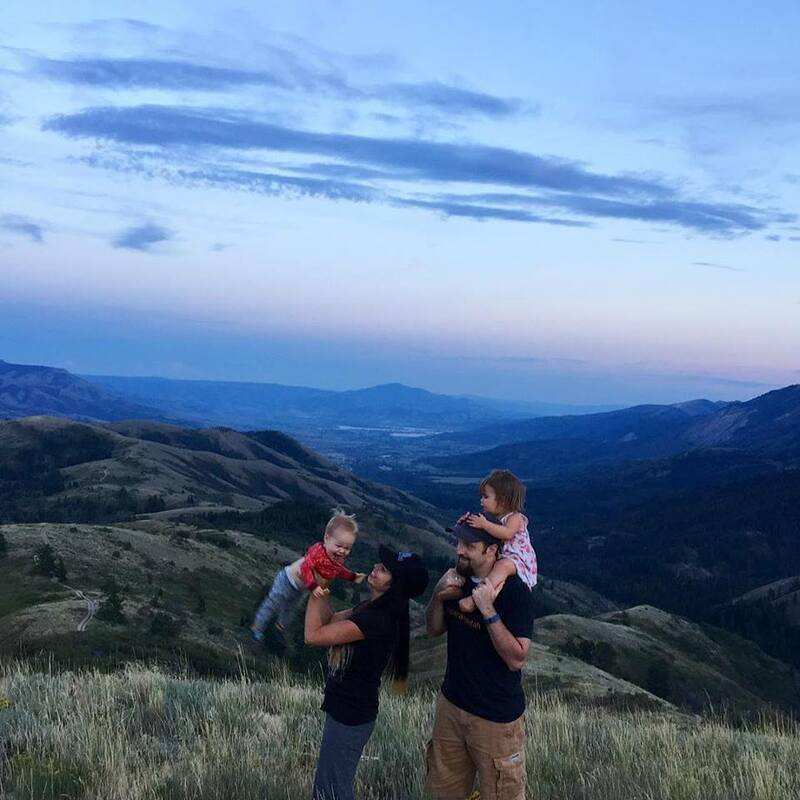 I hope the babies remember the garden time as being fun, I sure remember it being kind of fun with grandma and hanging out with my siblings.